Qualification : Candidates Should possesses a degree of Bachelor of Law ( Professional Degree) of a recognized university or institution. 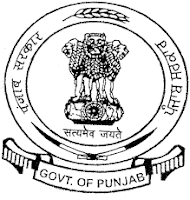 Application Fee : Candidates belonging to Scheduled Castes/ Scheduled Tribes of all States and Backward Classes of Punjab State only have to pay Rs. 1125/-, Rs. 500/- for Ex-Servicemen of Punjab state, Rs. 1750/- for PWD Punjab State & Rs. 3000/- for all other categories through the System Generated Challan Form. How to Apply : Interested Candidates may apply Online through the website http://www.ppsc.gov.in/ from 30.10.2017 to 20.11.2017. Printout of Online application form along with relevant documents & Bank Challan send to the office of Secretary, Punjab Public Service Commission, Baradari Gardens, Patiala Punjab on or before 05.12.2017.